May we return victoriously and wear a laurel crown. We will never yield upon the field to any mortal foe. And to make him pay severely for the battle of Bull Run. The gallant 27th their foes they did not shun. But the glorious 69th was the terror of Bull Run. Who said unto his gallant men remember Fontenoy! Then the whole at large, with bayonets charged, their foes they did deploy. 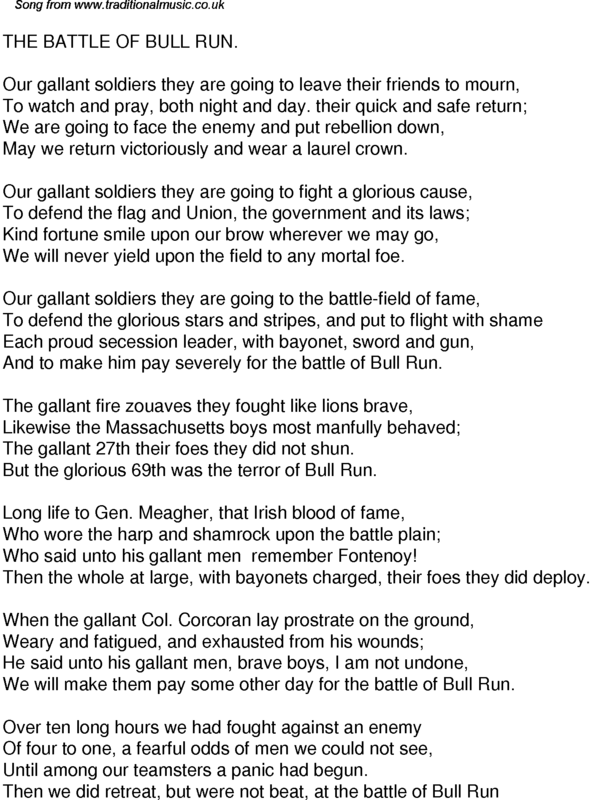 We will make them pay some other day for the battle of Bull Run. Until among our teamsters a panic had begun.